So you've got this friend. This person is pretty cool, and you want to give him/her a gift of some kind. You know, as a birthday present or a christmas present or a graduation present. Bottom line, it's present time, baby. There's something else: this person is a guitarist. Like, (s)he lives and breathes guitar. It's one of those dominating factors of identification that encompasses this particular person's entire existence. While a generic gift--like a t-shirt or a shot-glass--will probably do the trick, you really want to cater to this persons self-identify. Problem is, you couldn't tell the difference between a Les Paul and a Stratocaster if your life depended on it. How in the world are you expected to please this person with an extraneous consumer purchase if you know nothing about guitars? Here's the good news: guitarists are not a difficult bunch to impress. Maybe that's a bit of a generalization, but before you jump onto the hobby-stereotyping-rage bandwagon, consider different types of hobbyists. Golfers will probably love anything that pertains to their sport, book-nerds will probably love anything literary, movie-buffs will love anything related to cinema and guitarists will likely love anything guitar related. 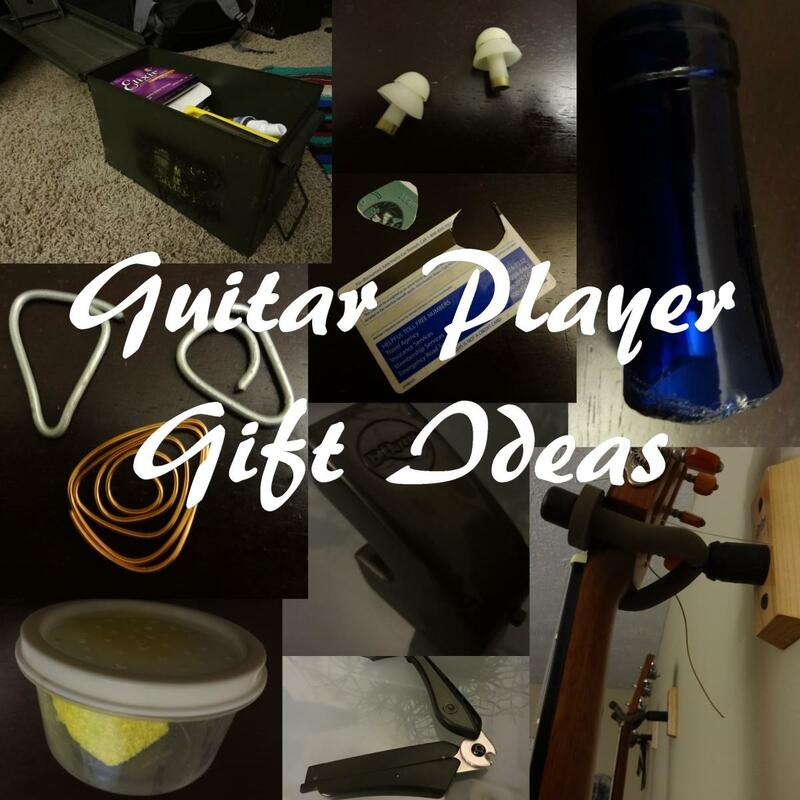 There's even better news--there are plenty of low cost gift options for guitarists that they'll actually find useful. Wouldn't it be great to show them that you're thinking about them with something that they'll consider an essential tool of the trade? 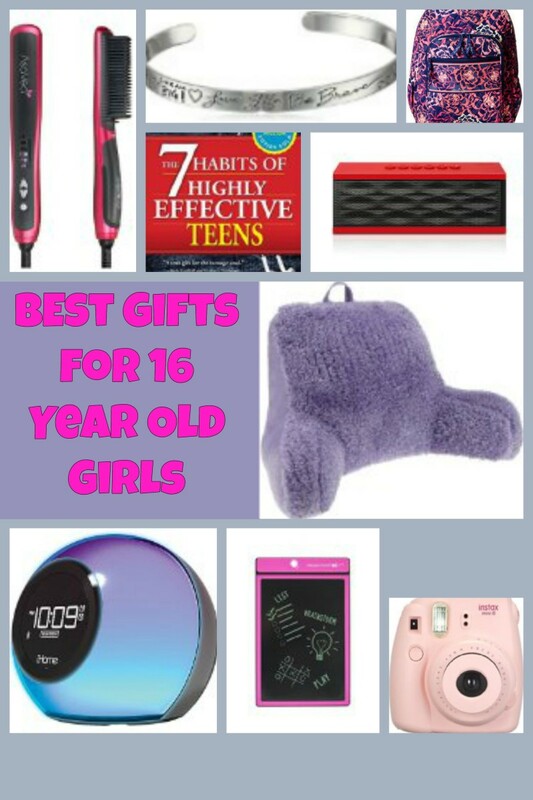 Absolutely, and to make things a little easier for you, here are five great gift ideas (under $30!) for that guitar-wielding person in your life. Nobody likes an out-of-tune guitar, and nobody hates the occurrence more than a guitarist. It's the musical equivalent to fingernails on a chalkboard, and it can sound really, really bad when string tensions aren't lining up where they should. If you're axe-friendly buddy suffers from a constant case of the out-of-tune blues, then giving this a person a tuner is the perfect medicine to cure these ails. Here's the nitty gritty: if your friend is a guitarist, then chances are that (s)he already has a tuner. That simple fact should't render this gift idea redundant, though. If this person performs on a frequent basis, then possession of multiple tuners can be a lifesaver in those "i need a tuner NOW" situations. So go ahead, get your git-box buddy a tuner. (S)he'll love you for it. There are a variety of low-cost tuner options available, and if you can find out what kind of tuner your friend already has, you may even be able to obtain one that is stylistically different. Don't fret (ha..see what I did there?) if you can't get this info from your buddy, though. A standard chromatic tuner is the quick-and-easy go-to solution for common guitar situations. Another nifty tuner is the clip-on tuner, which literally clips onto a guitars neck. If your guitar friend is a performer, then the clip-on tuner may very well be your best gift bet. A less obtrusive, if slightly more expensive, option, is the pedal tuner, which plugs into an electric guitar via guitar cable and does its thing on the ground. The pedal tuner is the best option for gigging guitarists, but keep in mind that it isn't going to work for standard acoustic guitars. Playing in musical key is important and all, but keeping time in music is also key. Yeah. That sentence is pretty terrible. We're going to keep it there, anyway, as a sort of humbling technique. 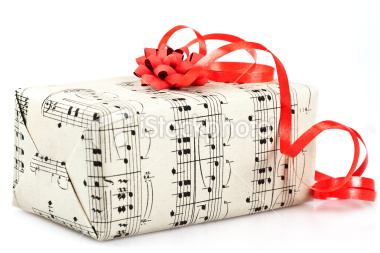 Seriously though, if your guitarist friend doesn't already have a metronome--a device that clicks to a particular structured beat--then this may be the perfect gift for that special little occasion. Guitar playing is, after all, an extremely rhythmic affair, so practicing those Van Halen chops will probably require some level of click-based guidance. Metronomes can get pretty pricy when additional features are added into the mix, but basic ones can be obtained for fairly cheap, and honestly, unless this friend of yours is in need of some crazy timing, then a basic digital metronome will probably do the trick. So go ahead--show your guitarist friend that you care, and gift a metronome. The worst case scenario is that this person may actually improve their rhythm, and you'll finally be able to sing along with that butchered version of Hotel California without stopping three hundred times along the way. All right, so you want to give your guitarist friend a gift, but you don't really want to spend too much money on it. Maybe this person is just an acquaintance and you don't want to break the bank with anything ridiculous. Maybe you simply need something small--like a sticking stuffer, or a basic gift filler. Or hey, maybe your broke, and you need to show this person that you care about his/her hobby without spending more than ten bucks. Regardless of situation, gifting a pick-holder may be the answer to your questions. Pick-holders are, well, little ditties that hold guitar picks. They're pretty basic is design, but can be invaluable tools for guitarists of any situation. Pick-holders can also be a diverse little bunch, and can be useful in many differing situations. If your guitarist friend doesn't mind a little intrusion on the surface area of his/her instrument, then tackable pick-holders can be a great way to keep those pesky plectrums in line. If your friend prefers a less sticky solution, then a keychain pick-holder will make them happy. If your friend is one of those singer/guitarist types, then a microphone pick-holder is what they'll probably want. A capo is a nifty clamping device that guitarists place on their fret of choice to raise the pitch of their strumming by shortening the playable length of the neck. They're particularly useful for anyone who loves playing along to hit songs from the 1990s, and they can be a fantastic addition to any guitarists toolkit. Like anything else guitar related, capos vary in styles and pricing, but cheaper ones are obtainable and most do their job well. Capos aren't ideal for every guitar situation though, and it should be noted that if your friend is a seasoned electric guitarist (like, he can shred), then maybe (s)he doesn't really need such a device. If your friend enjoys strumming on an acoustic guitar, then a capo is a fantastic gift idea. They're pretty small as well, and therefore tend to get lost rather easily (especially in live gigging situations), so no performing guitarist can really have too many capos. They also come in a variety of colors, which is fantastic for those who wish to add a little personal flourish to the gifting process. Beginner guitarists will probably appreciate quick-change capos the most, as they are the easiest to use and, um, the quickest to change on the fly. Other capo varieties exist, and if you can find out which one your friend prefers without ruining the whole "surprise!" aspect of the gift giving process, go ahead and get that kind. The best will, of course, be saved for last, and in all honesty, the Pick Punch may very well be the best low-cost gift option for that six-stringing fiend in your life. The Pick Punch is a ridiculously awesome piece of hardware that allows anyone to make guitar picks from credit-card like material. There's nothing fancy about it, it literally punches out guitar pick, very much so like a a hole-punch punches holes in paper. The Pick Punch is so simple is design that people should really wonder why it took this long to come up with such an idea. It's a fantastically useful low-cost gift idea for many guitarists, but the Pick Punch is not necessarily for everyone. It's limited in the material allowed for punching, and guitarists who prefer heavier picks may not find credit-card plastic all that useful for their playing style. Most will love it, though, and for $25, it's doubtful that you could go wrong with such a novel gift idea. Good Hub...guitarists are a special breed, and when you hit on the right gift, they give great respect. 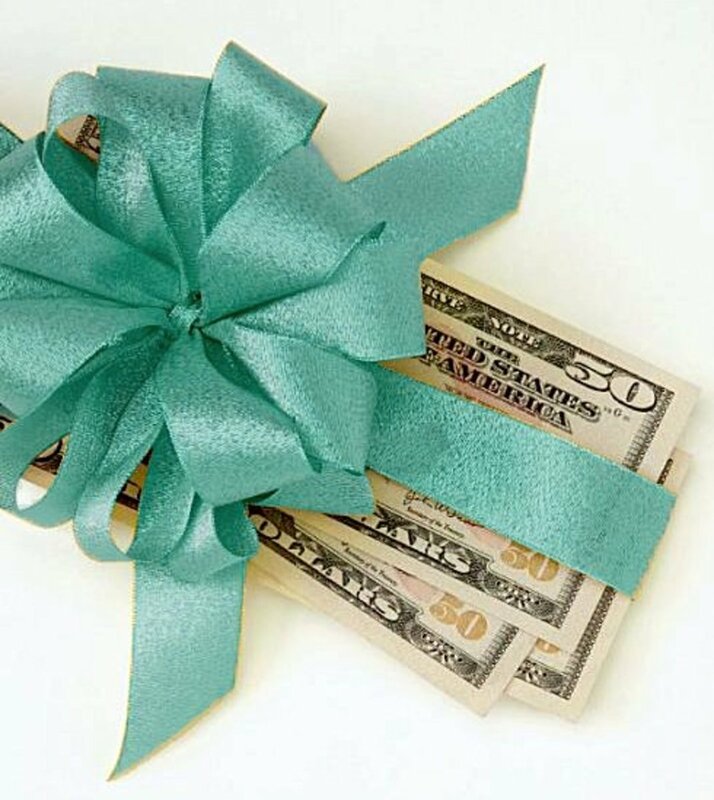 Giving a gift to someone can be tricky, but when you find something in their line of work or passion, it says "I love you" so much better than something common and generic. Great ideas!